The Hotel de Russie is a luxury five-star hotel located in the heart of Rome between the Spanish Steps and Piazza del Popolo. 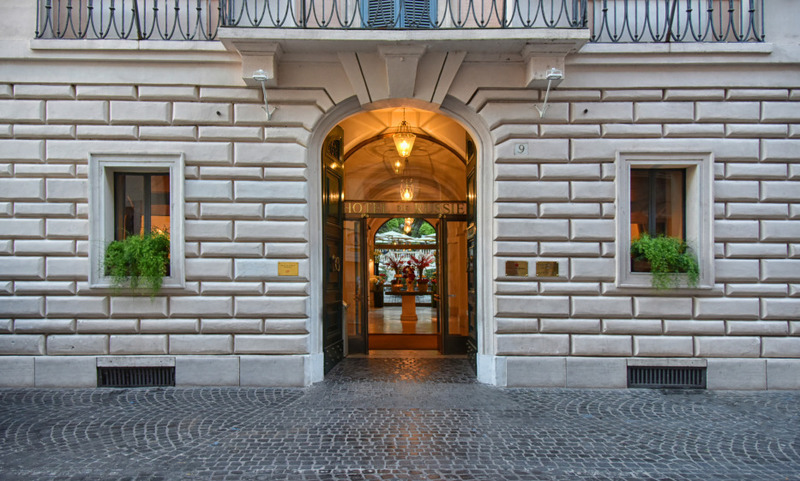 The Hotel de Russie is within easy walking distance of Rome's key attractions, fashion houses and the famous shopping Street of Via Condotti. Excellent hotel will definitely stay again when in Rome. Excellent hotel, perfect location, very friendly and courteous staff. Our tour guide Alessio was very good, funny and polite at the same time. We had a wonderful experience! One of the best places to stay. Understated elegance, and great staff. The best hotel to stay in Rome, amazing location, great food, large comfy rooms. Definitely be back. We loved the hotel: the hotel and staff were wonderful! Just an overall great experience. The location and setting of this hotel are perfect. The quality of the rooms and the friendliness of the staff and their efficiency makes this a place we want to visit again and again. Staff and service were great. Room and breakfast was lovely. Location perfect. Hotel de Russie is deservedly one of the best hotels in the world. It offers quiet luxury and the most friendly and accommodating service amidst great beauty in a wonderful location. It was a total pleasure for our family of six; it is one of the few hotels where one authentically feels like a guest. Quite disappointed by the hotel. What I really liked : the outdoor areas, the gardens, room balcony, view from our room and the excellent staff.